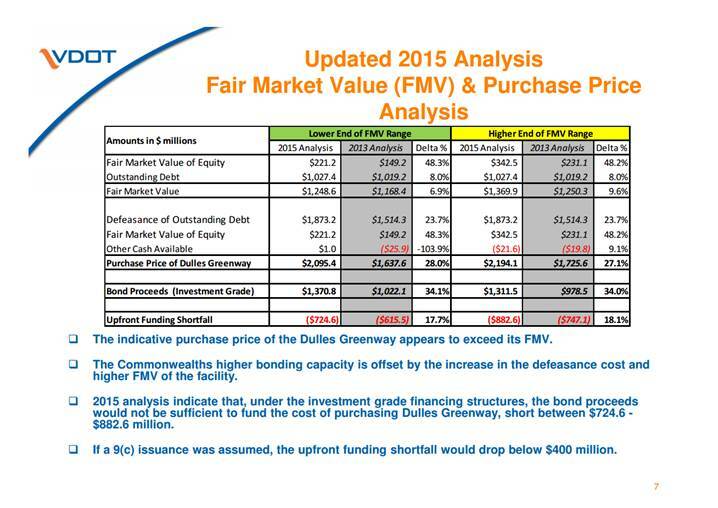 The idea of buying the Dulles Greenway with the goal of lowering tolls would require hundreds of millions of dollars in upfront cash, and VDOT’s chief financial officer says the purchase would be a bad deal for the state. WASHINGTON — The idea of buying the Dulles Greenway with the goal of lowering tolls would require hundreds of millions of dollars in upfront cash, and the chief financial officer of the Virginia Department of Transportation says the purchase would be a bad deal for the state. Loudoun County lawmakers have lambasted the private road’s tolls for years, and the Virginia General Assembly in 2013 directed a review to determine whether purchasing the road would be a reasonable path forward. VDOT CFO John Lawson says an update of that review has again found that it would not be a good deal for the state. “The indicative purchase price has gone up [since 2013]; the present value of the future dividends appears to have increased, and the one that really is the biggest issue is that the defeasance cost of the outstanding debt has changed, and while it has gone down some … the cost to defease the existing debt is the piece that makes this road such an expensive proposition to the Commonwealth,” he told the Commonwealth Transportation Board. Depending on factors such as what kind of bonds were issued and whether tolls increase, buying the road would cost the state somewhere between about $400 million and $880 million up front. The high-end estimate was $747 million in 2013. “When you come to look at the purchase price, we can’t just pay off the outstanding debt,” he says. The $1 billion of debt would actually cost the state around $1.9 billion, because many bondholders are not due to be paid for decades. “The outlook today from a purchase perspective from the commonwealth is worse than it would have been in 2013. We are in a worse position to entertain such a purchase, and it certainly would not be my recommendation that we would want to entertain such a purchase,” Lawson says. Virginia Transportation Secretary Aubrey Layne says the question is academic at the moment anyway, despite the big push from members of the General Assembly and some Loudoun County supervisors. Layne points out that the owners, Toll Road Investors Partnership II, would have to want to sell the road, and he says they are not in a financial position where they would have to. Layne emphasizes that the state is bound by contracts with the road’s operators that were agreed to as part of the original public-private concession agreement. But he argues that, despite the road’s owners’ claims that they have not made a profit, money has been paid to investors. “If you look at the original capitalization of the deal, that is the amount of borrowing and equity, and then what it is today versus the purchase price plus the improvements, it’s pretty obvious they’ve been able to pull a bunch of money out that they haven’t actually put back into the road, just like I used to do when I was in the real estate business, except I didn’t have the taxpayers,” Layne says. 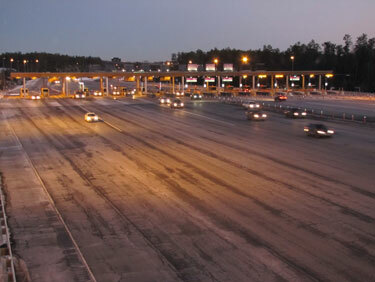 State law allows tolls to rise each year through 2020 at a rate tied to inflation, while further increases are regulated by the State Corporation Commission. Loudoun County is appealing a rate case from the commission to Virginia’s Supreme Court. Commonwealth Transportation Board member William Fralin, of Roanoke, says that the push to buy the Greenway is an example of the political risk that always needs to be factored into private-public partnership agreements. “This is one of the things we looked at when we were evaluating the concession agreements in general: You have to protect against political risk. This is what you’re experiencing right now — somebody’s got some upset constituents because they think they’re paying too much in tolls and they look to us to relieve that, and I think the analysis is pretty clear that that’s not a good deal for the state,” he says.